Study the Admiral definitive stamps. 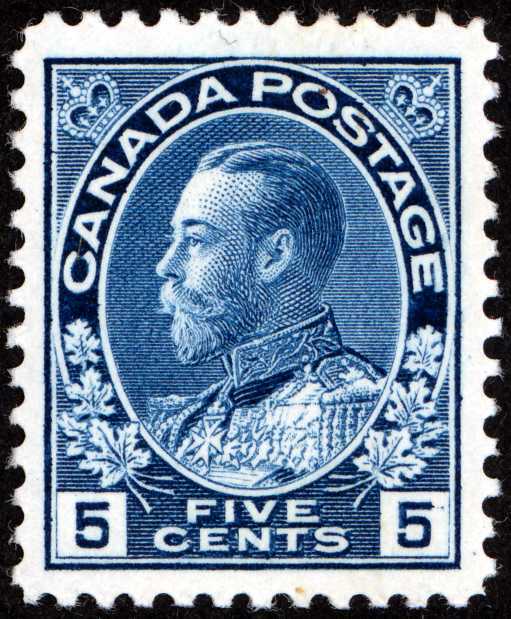 The earliest ones were issued in late 1911, and they were replaced by the Scroll issue in 1928-1929. 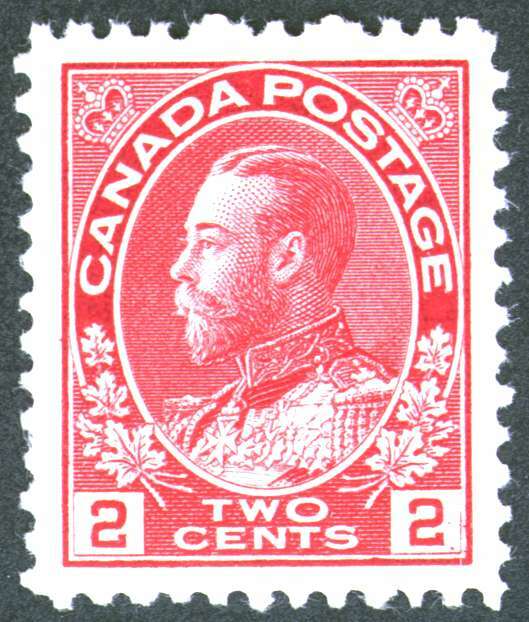 In addition, an Admiral 3¢ carmine perf 12 x 8 stamp was issued in 1931. Study the commemorative, Special Delivery, and postage due stamps that were issued or were current during the Admiral period. 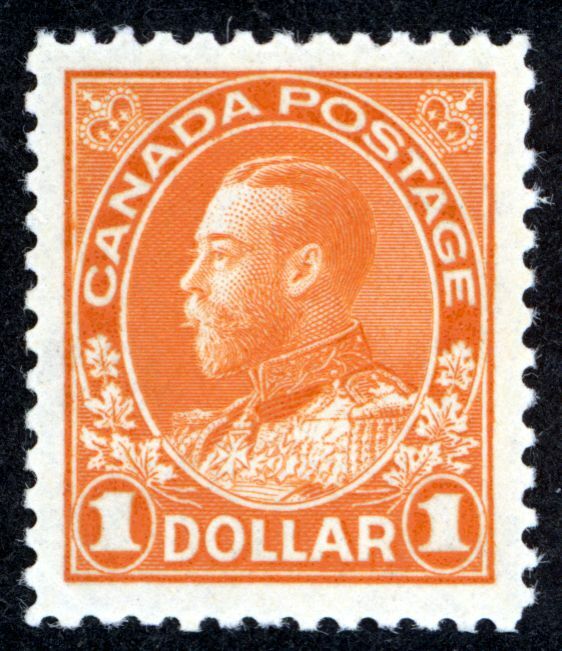 Study the postal and fiscal use of the postage stamps issued or in current use during the Admiral period. Study the postal history of the Admiral period. Publish the results of the studies and other articles on Admiral stamps and postal history. Provide information and encouragement to collectors interested in this area. BNAPS had an Admiral Study Group at least as far back as 1968. The Study Group held meetings at the 1968 Lakeway, Texas, and 1969 Vancouver, BC, BNAPEX conventions, led by Harry Lussey, a noted student of the issue. The Study Group also met at BNAPEX 1978 in Palm Beach, Florida, chaired by two other Admiral luminaries, George C. Marler and Allan Steinhart. As far as is known, no newsletters were published during this period. Sometime after the 1978 meeting, the Study Group went dormant. It was re-activated at BNAPEX 1995 in Edmonton, AB, at a meeting chaired by Bill Longley. Glen Lundeen stepped in as Chairman, Robert Bayes as Treasurer, and Bill Longley as newsletter Editor. The first issue of the newsletter, The Admiral's Log , appeared in January 1996. It was among the first Study Group newsletters to feature colour illustrations. The third issue appeared in August 1998 with Robert Bayes as interim Chairman and Patrick Durbano as interim Editor. Later that year at BNAPEX in Orlando, Florida, Doug Lingard, Vice President Study Groups, organized a meeting to re-invigorate the Group. Andy Ellwood volunteered as Chairman and Jim Kirch as Editor. Between January 1999 and April 2001, Jim Kirch published six issues of the newsletter. Leopold Beaudet then became editor, and published ten issues between December 2001 and June 2018. The Study Group met at BNAPEX 2001 Ottawa, and at every BNAPEX since 2003. The Study Group officials from 1995 onwards are listed below. Robert Bayes and Patrick Durbano accepted interim positions in 1998 to keep the Study Group going. From 1998 onwards, the Chairman also acted as Treasurer. There have been many award-winning exhibits of Admiral stamps and postal history over the years. However, BNAPEX 2011 in North Bay, ON, was special. 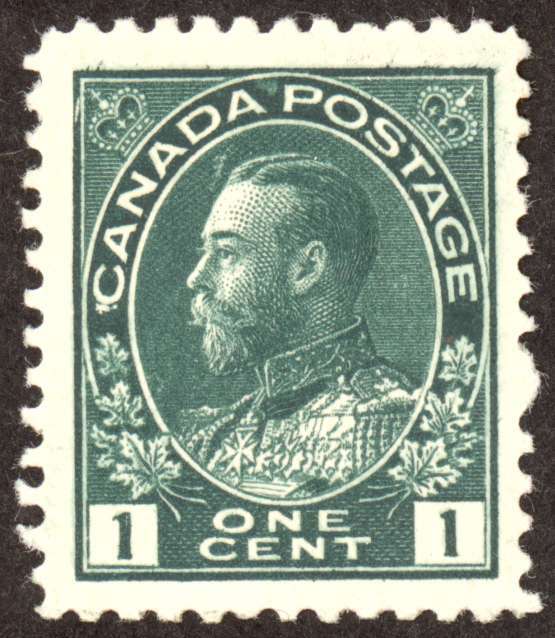 The first Admiral stamp was issued in December 1911. To celebrate its centenary, members of the Study Group assembled select material for two one-frame Court of Honour exhibits at BNAPEX 2011 and collaborated on the preparation of the exhibit pages. The first exhibit, "The Admiral Issue", highlighted the innovations introduced by the Post Office Department and American Bank Note Co. during the Admiral period and the diversity of collecting material that resulted from these innovations. The exhibit displayed the evolution of Admiral sheet stamps, coils, and booklets. The second exhibit, "The Admirals after Marler", displayed important discoveries made after the publication of George C. Marler’s seminal work, The Admiral Issue of Canada , in 1982. The exhibit’s title had a double meaning. Besides displaying significant new discoveries, it followed in the trail blazed by Marler and Reiche and Keane and Campbell and so many others. David Bartlet’s “Booklet Varieties of the Admiral Era” focused on errors and varieties found on booklet covers and panes. Bill Burden’s “Admiral Re-entries” featured major re-entries on the 1¢ green and 2¢ carmine. John Smallman’s “Lathework Designs on the Admiral Issue” featured a dazzling display of lathework pieces. 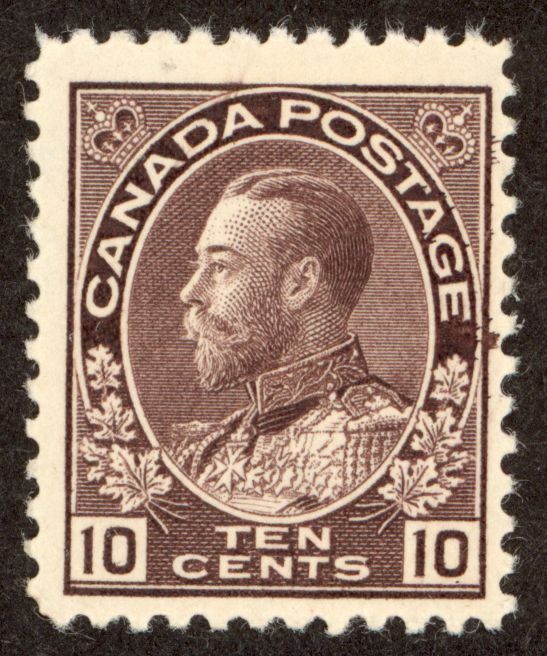 Victor Willson's eight-frame “Admirals Away: Canadian Letter Rates 1912-1928” displayed postal rates for domestic mail, preferred letter rates, British Empire rates, and UPU rates. The Study Group has published two books, both distributed to members as part of their membership. Richard M. Morris, A Guidebook to the Admiral Issue of Canada , 2001. This handbook, a digest size publication of 19 pages, explains terminology used by Marler, printing varieties, and colour shades. Randall W. Van Someren, The Colours and Shades of Canada's Admiral Stamps , 2018. The range of shades on Admiral stamps has long attracted collectors. The author's objective was to explore how Marler's design types can help with the study of colours on Admiral stamps. In 111 pages, he reviews the shades for each stamp, ties the shades to Marler types, and provides a chronology for the appearance of each shade. Richard M. Morris, The Admiral Issue of Canada , 2008. The book begins by explaining Marler's terminology. Then, for each value, it illustrates the Marler design types including examples that predate Marler's earliest known dates, the major shades, and selected re-entries and plate varieties including some that Marler had not documented. Victor L. Willson, Admirals Away: Canadian Letter Rates 1912 - 1928 , 2011. This book is a significant expansion of the author's eight-frame exhibit. Over the course of 186 pages, the author explores and illustrates the postal rates for domestic mail, preferred letter rates, British Empire rates, and UPU rates during the Admiral period. Any member of BNAPS is eligible to join the Admiral Study Group. Please contact the Chairman of the Study Group listed on the BNAPS Study Groups page.